It has recently been announced that now, 14 years after the original data acquisition, SRTM data in high resolution that was previously only available for the United States territory is now going to be made available for the whole covered area without restrictions. The data is distributed by the USGS and available in Earth Explorer. 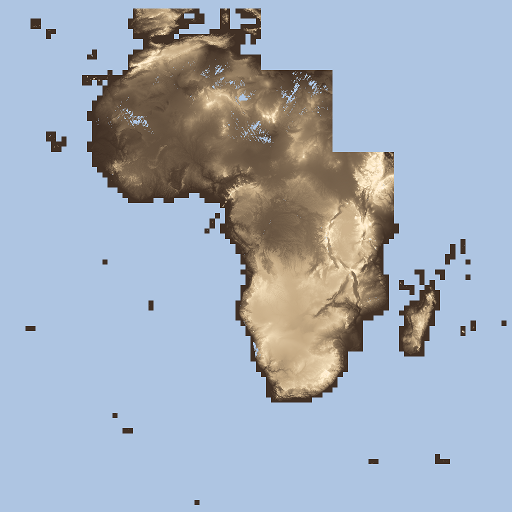 Currently it covers only Africa but it is promised this will be extended in the future. I included this data in the elevation data search tool – download links provided require an EarthExplorer account. Although the data is not really new and for the US this higher resolution data has been available for a long time i also take a new look at the data quality from todays perspective.